The Bluefaced Leicester is the single most significant sheep breed in the UK today, with nearly 50% of the UKs commercial breeding flock being sired by the Bluefaced Leicester. 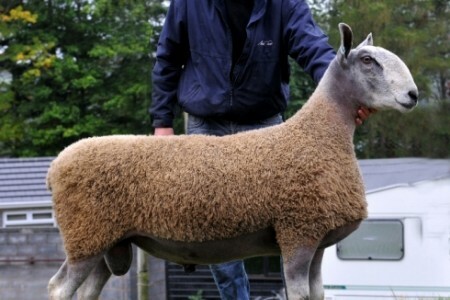 Of the remaining 50% around half are being mated with Bluefaced Leicester rams to produce Mule ewes. The great strength of the Blueface, is that no matter what breed of sheep its crossed with, its progeny the Mule proves a better commercial ewe than its mother. The Bluefaced Leicesters improve prolificacy, mothering ability, ease of management and most importantly financial return. The breed started in Northumberland around 100 years ago. Over the last half century the breed has spread all over the UK, especially into Scotland and Wales where, in the last ten years, some of the breeds top stock has been produced.